Mary Kay At Play Makeup Sticks - $17 - colour correcting, contouring and highlighting sticks that are portable so easy to use you can amp up your look anywhere! 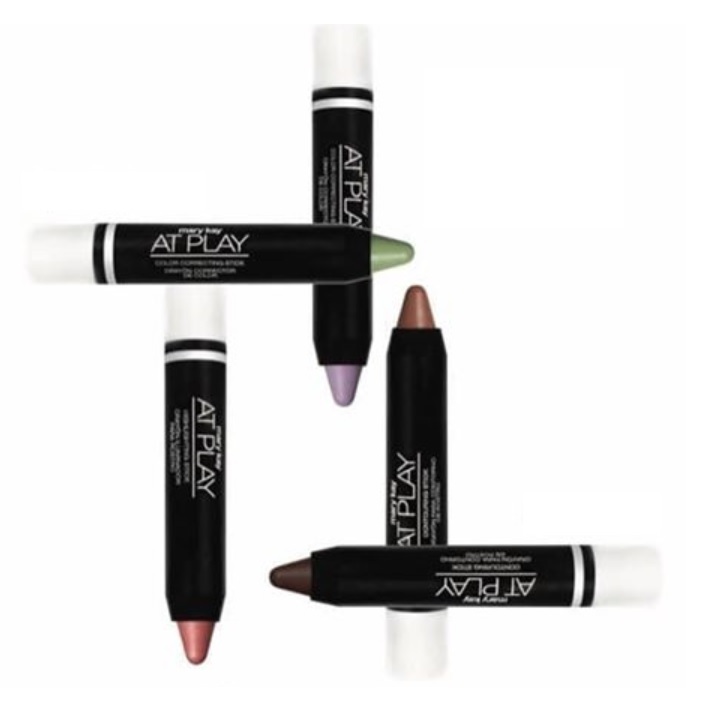 Mary Kay At Play Contouring Stick - sculpt and define with two shades: Get Sculpted 1 and Get Sculpted 2. Contouring is a great way to add dimension and depth to different areas of the face. For a subtle contour, select a shade one or two shades darker than your foundation. For a more defined look, select a shade three shades darker than your foundation. My best tip: don’t forget to blend - and then blend some more! Mary Kay At Play Highlighting Stick in Rosy Glow - a subtle shimmer highlighter that brings light back to your face in the best way. Focus highlight application on the high points of the face for the perfect amount of glow. camouflage bothersome blemishes, overly rosy cheeks or any redness around the nose. Mary Kay At Play Colour Correcting Stick in Ditch Dullness - a lilac shade that wakes up the face and adds brightness to the skin.